The control of compliant robots is, due to their often nonlinear and complex dynamics, inherently difficult. The vision of morphological computation proposes to view these aspects not only as problems, but rather also as parts of the solution. Non-rigid body parts are not seen anymore as imperfect realizations of rigid body parts, but rather as potential computational resources. The applicability of this vision has already been demonstrated for a variety of complex robot control problems. Nevertheless, a theoretical basis for understanding the capabilities and limitations of morphological computation has been missing so far. 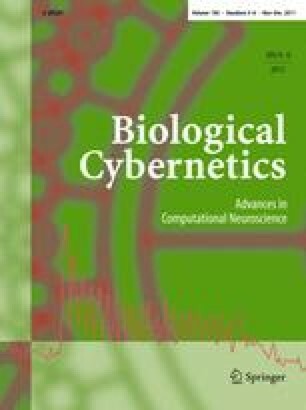 We present a model for morphological computation with compliant bodies, where a precise mathematical characterization of the potential computational contribution of a complex physical body is feasible. The theory suggests that complexity and nonlinearity, typically unwanted properties of robots, are desired features in order to provide computational power. We demonstrate that simple generic models of physical bodies, based on mass-spring systems, can be used to implement complex nonlinear operators. By adding a simple readout (which is static and linear) to the morphology such devices are able to emulate complex mappings of input to output streams in continuous time. Hence, by outsourcing parts of the computation to the physical body, the difficult problem of learning to control a complex body, could be reduced to a simple and perspicuous learning task, which can not get stuck in local minima of an error function. The online version of this article (doi: 10.1007/s00422-012-0471-0) contains supplementary material, which is available to authorized users. Written under partial support by the European Union projects # FP7-216593 (SECO), # 216886 (PASCAL2), # 248311 (AMARSi), and by the Austrian Science Fund FWF, project # P17229- N04. We also want to thank the anonymous reviewers for their very helpful suggestions and comments.